Select your character and play either solo or in pairs. Golf is a game that can be played during winter. Have you ever wanted to play a golf match with your favorite character? In this game you have to select your character first. 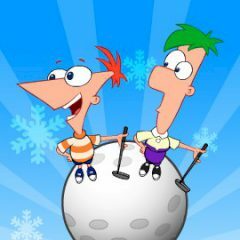 Choose Phineas or Ferb and start playing golf!